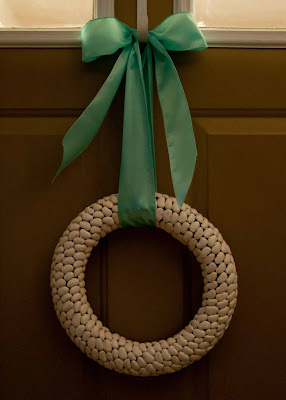 If I could do it again, I would use a WHITE foam wreath thingy (couldn’t find one) or at least spray paint it white before I start, and maybe the smaller lima beans…I dunno though because it took me hours using the big ones, so small ones might kill me. Cute Jen! What a great idea! wow. that looks great. what color is the wreath now? you can't even see it. I am impressed with your patience. I don't know that I would have finished it….or at least finished it anytime soon…way cute though! Previous PostPrevious Do you like my hat?